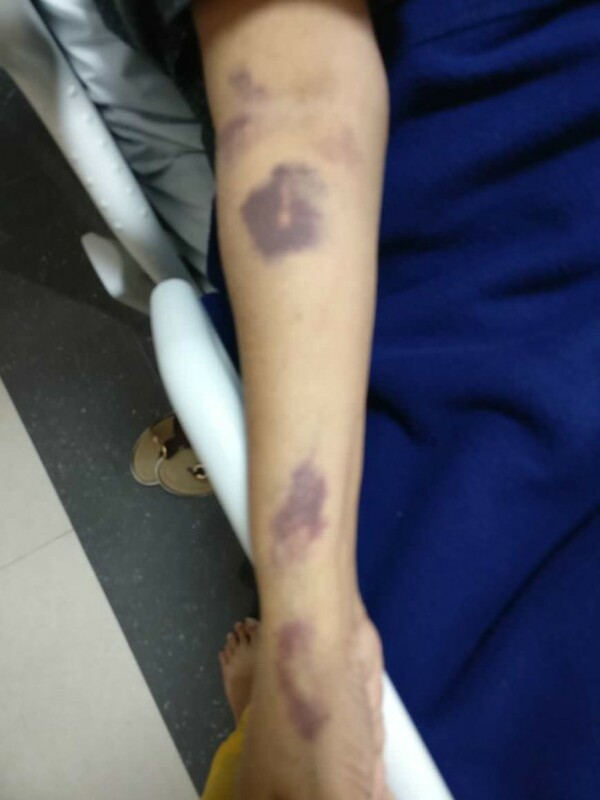 We are organizing this crowdfunding to collect money for my mother's liver transplant surgery. 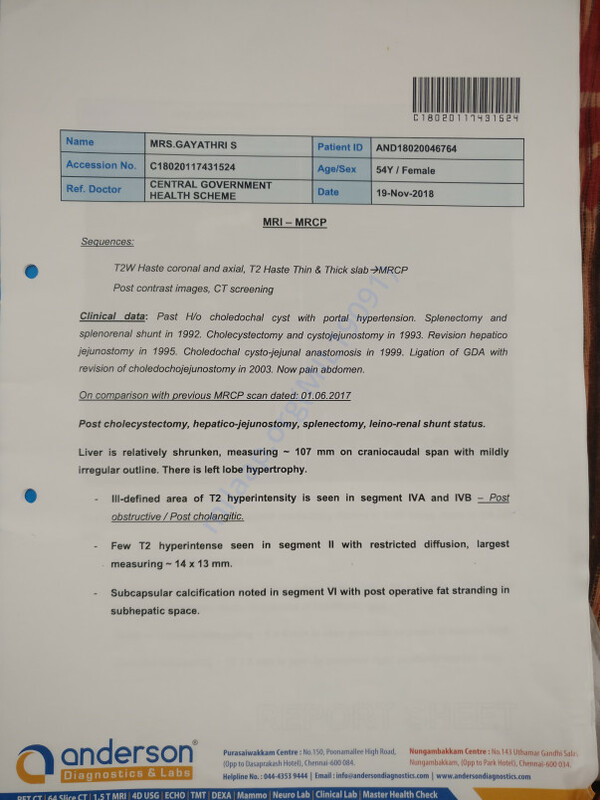 She has been suffering from liver problem since year 1992.Initially it was diagnosed as Choledochal cyst which affected the entire liver.Her spleen, gall bladder and common bile duct was removed as a result of Choledochal cyst formation in liver. 1995 - Revision of jejunostomy - To remove the blocks in the liver due to gall stones formation in the liver. 1999 - Revision of jejunostomy - To remove the blocks in the liver due to gall stones formation in the liver. 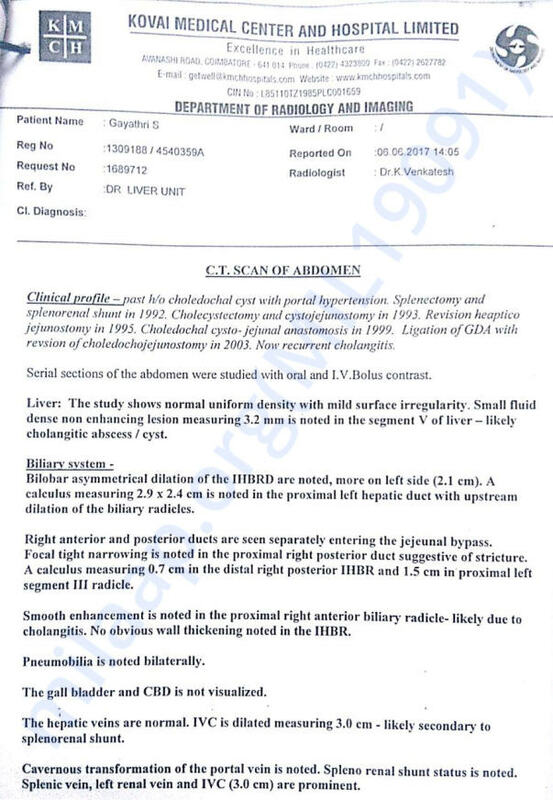 2003 - bypass surgery - Bypass surgery was done to connect the bilirubin secretion through pancreas to intestine as common bile duct was already removed due to cyst. 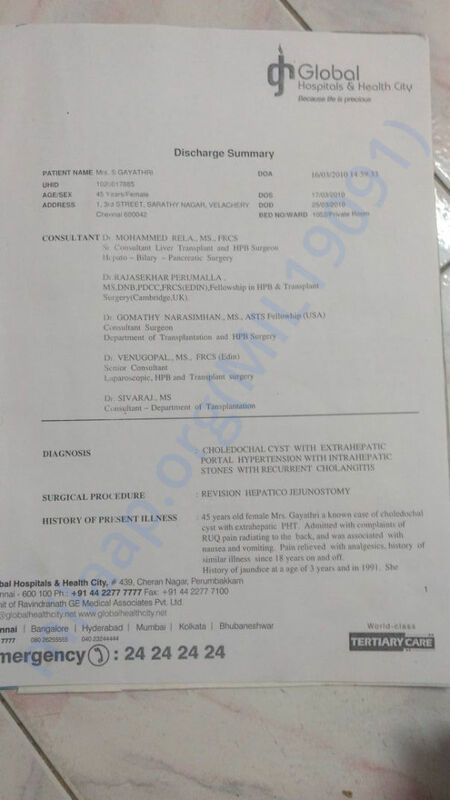 2010 - Revision of jejunostomy - To remove the blocks in the liver due to gall stones formation in the liver. Due to frequent hospitalization and multiple recurring surgeries we had already spent a huge amount on above surgeries and followup medication expenses for recovery. 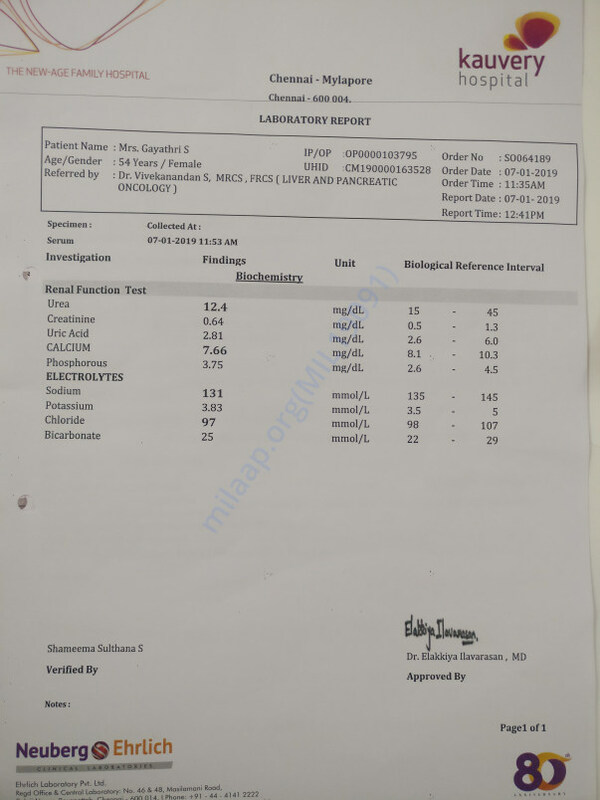 Due to frequent surgeries and multiple blood transfusions.My mother got affected by Hepatitis B virus and liver started shrinking in size. 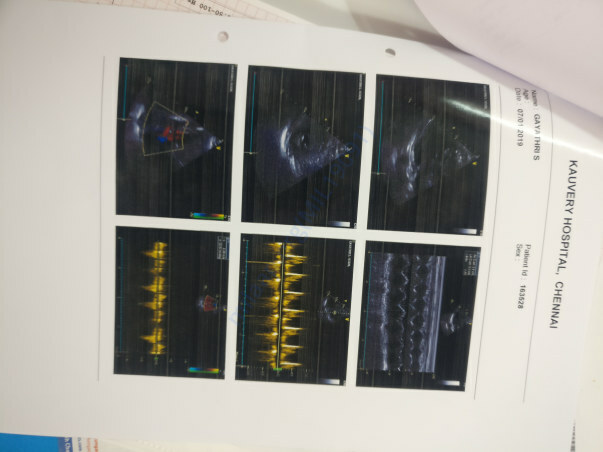 Despite so many surgeries the problem and the severe pain still kept occurring at frequent intervals due to recurring blocks within the biliary ducts inside liver. 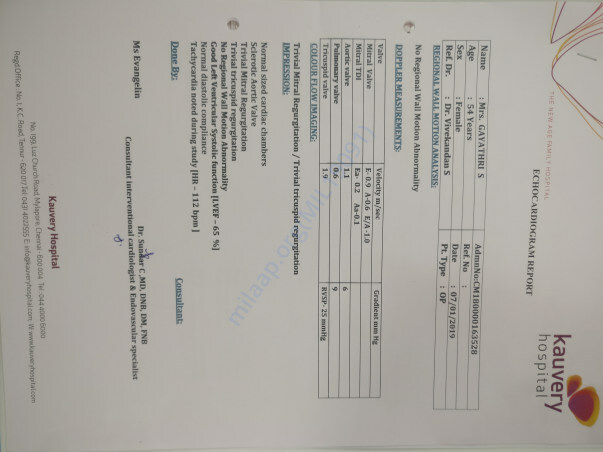 Since no more surgery is possible to stop the stone formation in liver, which is already deteriorating day by day.Doctor advised to opt for liver transformation as a permanent cure to stop the stone formation inside liver. 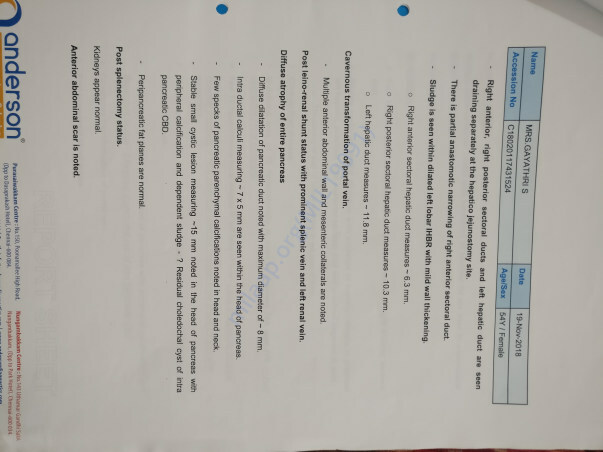 It is proposed to undergo liver transplantation at Kovai Medical Center & Hospital at Coimbatore,Tamil Nadu .We have already done pre-assessment test to register for liver transplantation. We are waiting for surgery on getting liver from brain dead patients. We are not notified regarding the exact date and time of surgery as we will know only 8 hours before the actual surgery time. Out of which we are able to mobilize 5 Lakhs from my father's savings who has retired from service now. 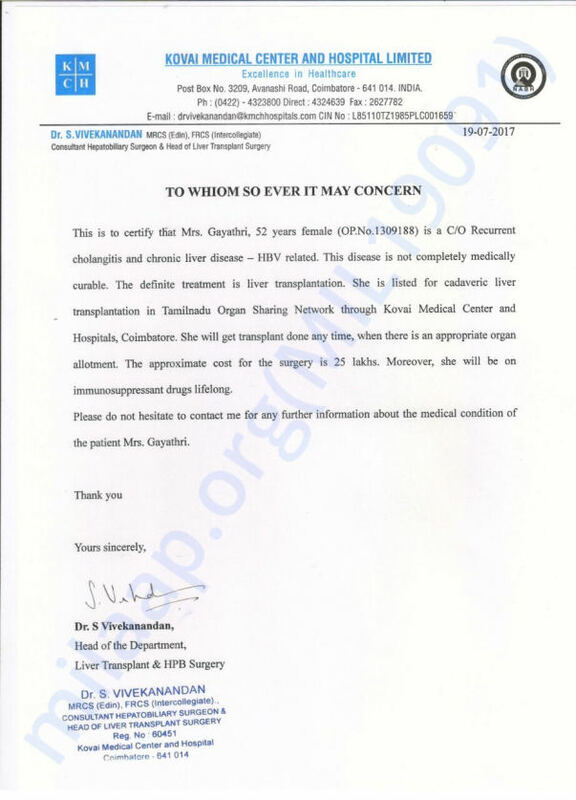 We are in need of 20 Lakhs more for the surgery and post recovery to be done. We are not aware of the correct date of surgery ( It may be around anytime within next 3 months ) . For the past 25 years my father had been taking care of all the stress and finances single-handedly. Since, this situation demands a huge amount of money which is beyond our reach and capacity,we appeal to you all for support and help. We humbly request you to kindly extend your support to our family and help us overcome this financial hardship. 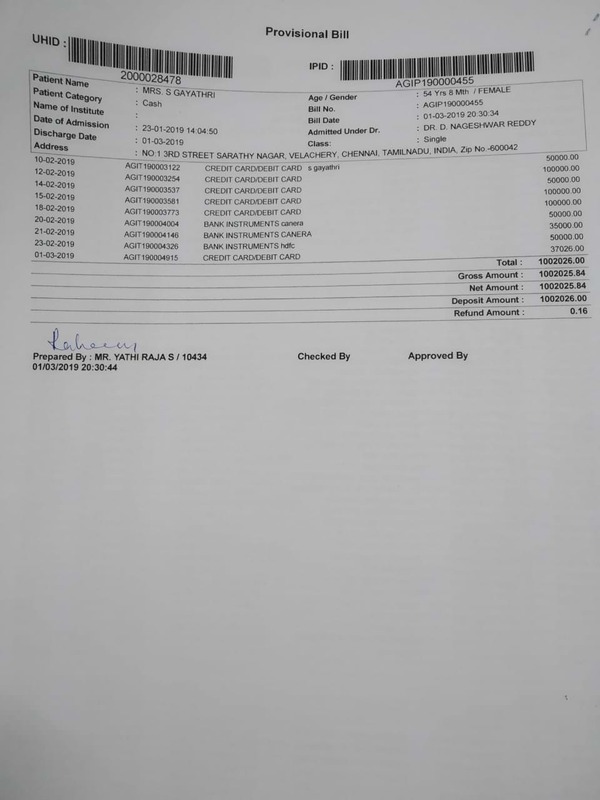 We have been hospitalized at AIG hospital Hyderabad from 22nd Jan 2019 to march 1 2019 which accounts to around 40 days. 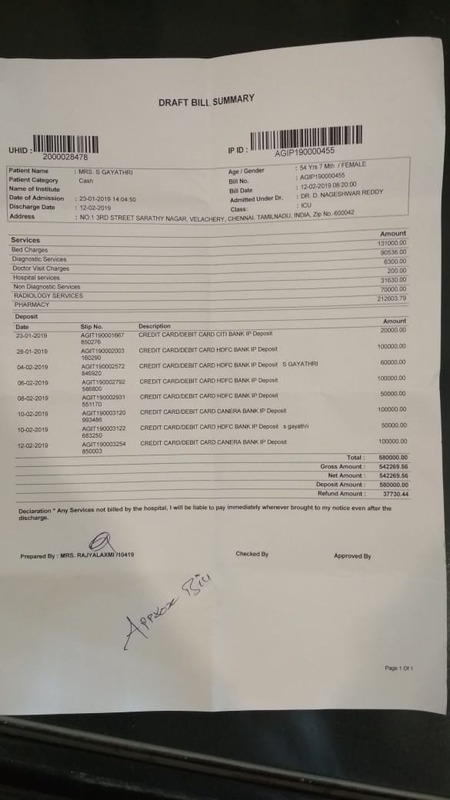 Since it was an unexpected health down fall , the expense shot up to 10 lakhs as a whole. 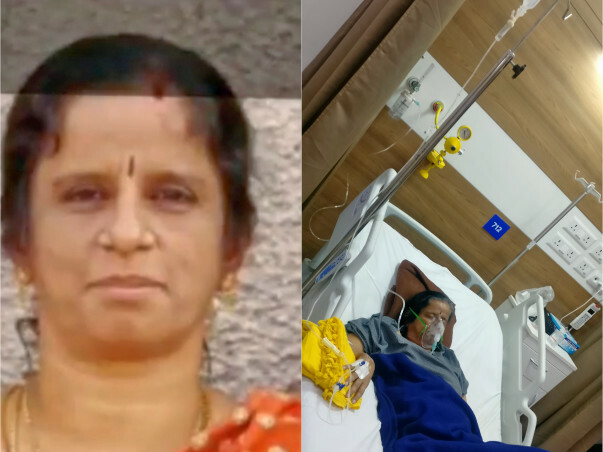 A sudden liver failure accounted to various treatments and my mom was in the critical condition in the unconscious state , with the help of VENTILATOR. Without your support, we wouldn't have made it. While waiting for liver transplant surgery, my mother suffered with heavy pain liver & back and fever daily due to liver infection and lung infection with heavy breathing problem. 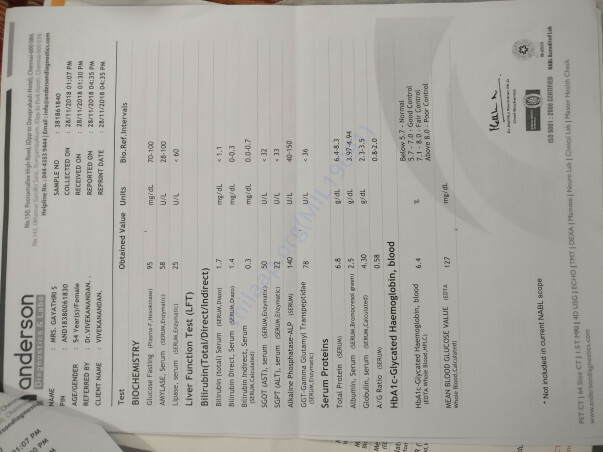 She has been admitted in Asian Institute of Gastroenterology, Hyderabad. 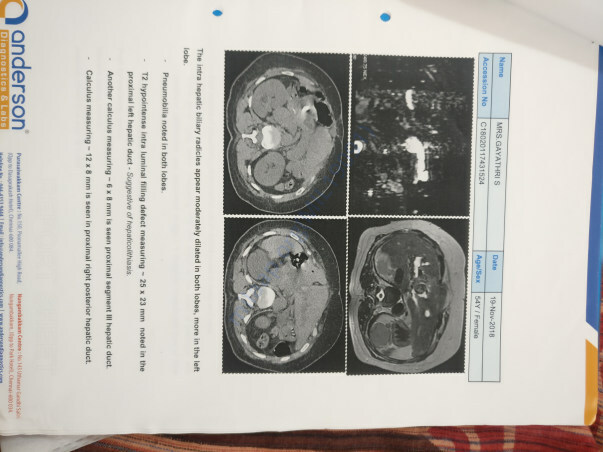 After removing liver stones, a tube has been connected to drain bile to the bag fixed outside. Suddenly, all multiple organs failed to respond and showing decline in its function and taken to ICU and kept under ventilation. 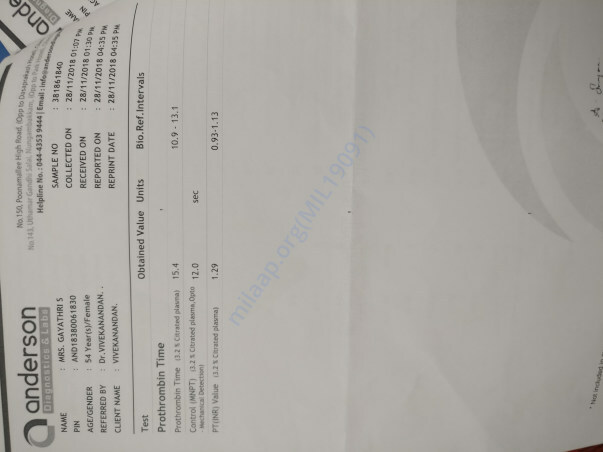 Doctors could not give hope and asked to wait for 48 hours. A tube has been inserted from lung to drain out fluid from lungs and given effective drugs to treat infections . After two days, some signs of improvement shown. Still under ventilation in ICU and limping to normal slowly. So far R.5,42,269 has been incurred, copy attached. Discharge will be possible in next week only. Please pray for her health. I am thankful to all of you for the support given to my Mother so far. 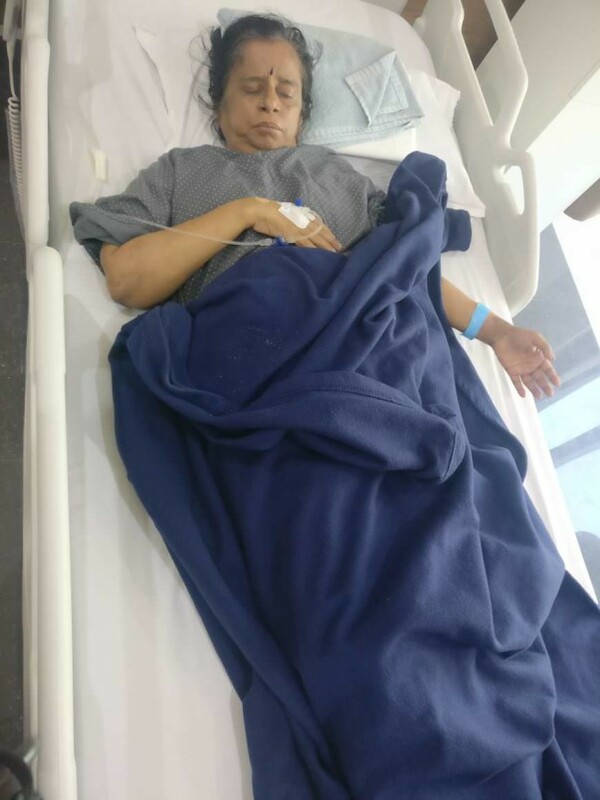 She is presently admitted Asian Institute of Gastroenterology, Hyderabad for a minor operation since we have been unable to find a donor yet and further delay might damage her Liver further. She has become weak to due to prolonged wait and illness. She has been put on the recipients list to receive a liver of her match. I request you to kindly pray for her health and share the campaign so that I can raise enough funds for her further treatment.